In this tutorial, I am going to demonstrate you, how to schedule posts on Telegram channel using your bot. Telegram is one of the secure instant messaging apps I have ever used. The best feature I like in Telegram messenger is Channel. It is the revamped version of message broadcasting. Now, you have an opportunity to invite an unlimited number of members to your channel, and this is best for Internet marketers. Use channel feature in the Telegram app, rather than using Whatsapp for broadcasting your important messages and posts. At the end of the November 2015, I started a channel, and now it has 10K+ active members. This channel is helping me to promote my blog posts. If you are aware of this feature, the don’t forget to join best Telegram channels. Your daily social media activities help you to increase the members of your social network. The protocol is also same for Telegram channels. If you are posting regularly in a particular time, then the members of your channel will increase. However, every day it is not possible to publish at a given time. 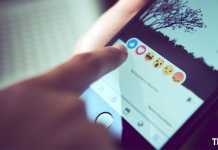 The social media, like Facebook, has the option to schedule posts on the page, but what about Telegram? Don’t worry my friends; I have a solution for you. In order to schedule posts for Telegram channel, you need a Telegram bot. The bots are the automated scripts to manage a particular task. The procedure is super easy and divided into three sections. Creating a bot is super easy. There is bot named @Botfather in Telegram, which helps to build new bots. 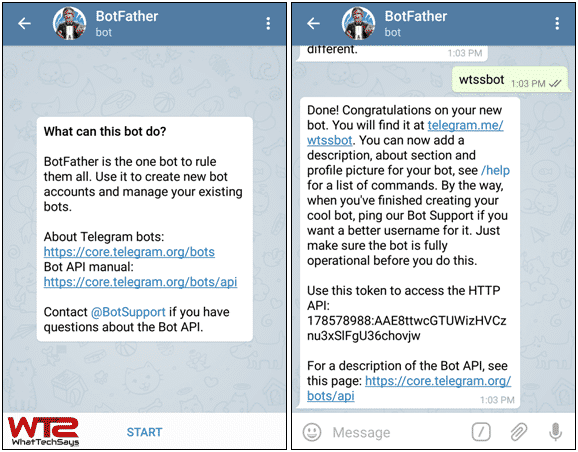 Search for Botfather on Telegram messenger and tap on the “START” button. You’ll get a set of commands in order to manage your bot. Tap on /newbot to create a new bot. It’ll display a message like, Alright, a new bot. How are we going to call it? Please choose a name for your bot. Now, type the name of your bot (Ex: My First Bot) and hit Enter. It’ll show, Good. Now let’s choose a username for your bot. It must end in `bot`. Like this, for example, TetrisBot or tetris_bot. Next, you have to type a username of that bot (Ex: wtsbot or wts_bot). It must end in bot. Then hit Enter. 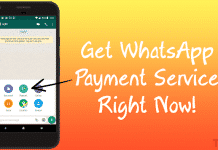 You’ll get a congratulation message with an access token. This token is necessary to for the last section. To schedule posts on your channel, you need to assign that bot as an Administrator. Open your channel and click on the three-dotted Menu >> Channel info >> Administrators >> Add Administrator. Now search the username of the bot you created in the first section. Tap on it to add it as administrator. That’s it. This is the final step you have to do. 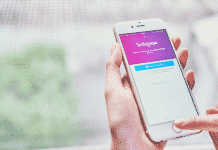 Kuku is a social media managing tool, which allows the users to schedule posts on their social profiles. Recently, it has added the option to schedule message for Telegram channels. Click on the big yellow “Create your free account” button and log in with any social network. After successful login, it’ll show your account dashboard. In the “Choose accounts for posting” section, click on the + (plus) button. 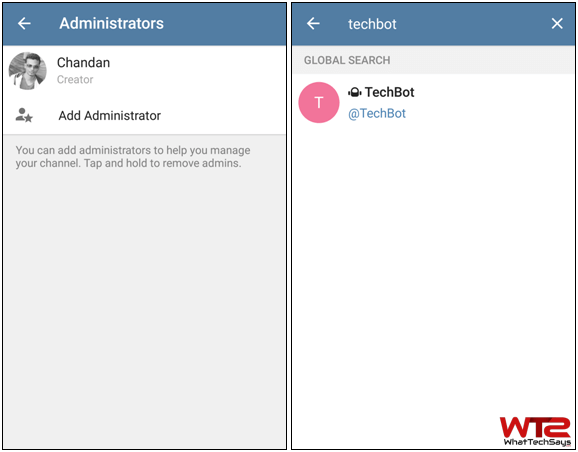 Now choose Telegram option and put generated token in the first section and the username of the channel where your bot is assigned as an administrator. Click the “Next” button until finishing the tutorial and you are done! Now you just need to select your channel name, type your message, or you can upload an image, set the time and click on Schedule button to schedule a post for Telegram channel. I hope you enjoyed this another excellent tutorial on Telegram, do comment below if you face any issues getting this to work. Tried it, and it worked! :) Thanks for the trick! I this it doesn’t support music. I have tested and it’s working fine for me. I think you are doing something wrong.